New Business needs and customer demands require telecommunications companies to expand beyond traditional telecommunications services. Communication companies needs to provide data services, such as teleconference and network security services. when seeking for solutions, they find their “traditional” purpose built telecommuncation appliance inappropriat for their new needs. The telecommunications companies need an elastic approach to cost-effective network architecture, fast service delivery, and lean network management. To this end, NEXCOM has developed the network communication server NSA 7130, a solution designed to deliver network function virtualization (NFV) under the software-defined networking (SDN) framework. Software-defined networking (SDN) is an approach to computer networking that allows network administrators to manage network services through abstraction of higher-level functionality. This is done by decoupling the system that makes decisions about where traffic is sent (the control plane) from the underlying systems that forward traffic to the selected destination (the data plane). The inventors and vendors of these systems claim that this simplifies networking. 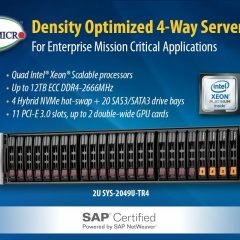 Let’s examine how, based on the Intel® Xeon® processor E5-2600 v3 product family, the NSA 7130 handles heavy data workloads. We address how virtualization performance can be enhanced with Intel® Xeon® processors with Intel® Virtualization Technology (Intel® VT); how network orchestration can be conducted through support for the open source software OpenStack; and how the bottleneck of the networking stack for SDN can be relieved by the Intel® Data Plane Development Kit (Intel® DPDK) with enhanced packet processing capabilities. 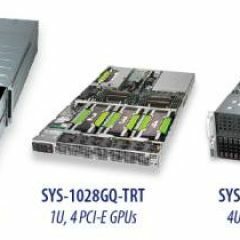 In addition, we show how the NSA 7130’s PCIe-based modular design can provide a necessary performance boost to the NFV platform when needed. Telecommunications services are traditionally delivered by purpose-built telecommunications equipment consisting of several computing boards which depend on different branded communication chips to run specific networking functions. Seeking to develop new business opportunities in data communication, telecommunications companies are exploring new ways of offering both networking and data services while exempting business clients from deploying dedicated appliances for unified threat management (UTM), load balancing, and Voice over IP (VoIP), for instance. In the meanwhile, telecommunications technology continues to evolve and these advancements almost always come with expensive infrastructure overhauls. The capital expenditure is so significant that it takes years to pay off. Needless to say, telecommunications companies are eager to avoid this predicament. What is needed are ways to use generic-purpose high-volume servers that through virtualization, interoperability and scalability can consolidate functions and blend telecommunications and data center capabilities. Virtualization is a must for such a generic-purpose high-volume server. The server must interoperate with other servers in telecommunications server rooms, and its hardware resources should be shared with other servers, creating a common resource pool that network functions can tap into. Also, high-throughput connectivity is another essential requirement. 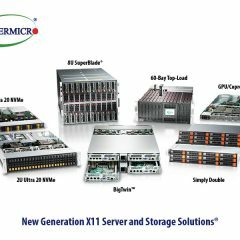 To satisfy these requirements, NEXCOM network communication server NSA 7130 employs the Intel Xeon processor E5-2600 v3 product family paired with an Intel® C612 chipset and Intel® Ethernet Controller XL710-AM2. 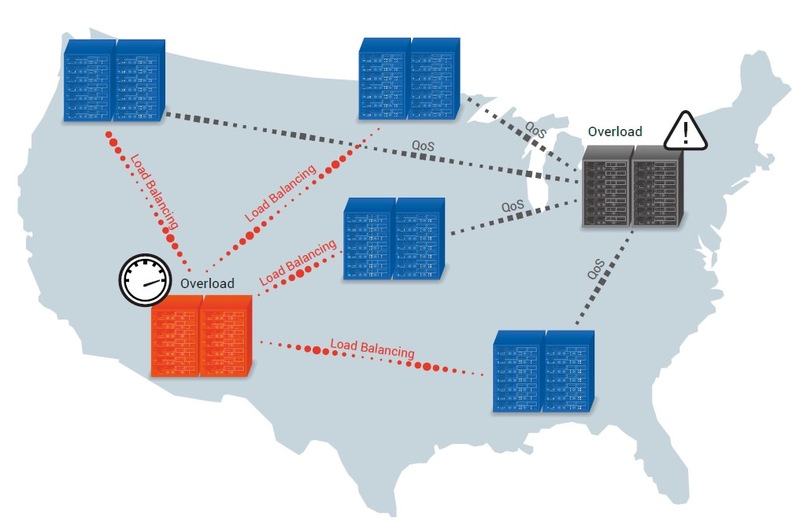 Using virtualization to consolidate multiple network functions onto a single server adds management simplicity, high server density, and space utilization efficiency to network operations, yet requires considerable compute and memory resources. To handle multiple guest operating systems (OS) and virtual machines (VM) on a single server, the NSA 7130 supports a two-socket configuration and the full range of the Intel Xeon E5-2600 v3 product family (Figure 2). 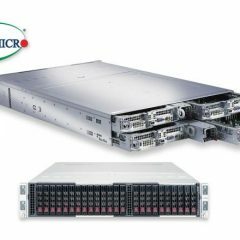 The server can pack as many as 24 computing cores and up to 512GB of the latest memory technology of DDR4. The NSA 7130 also benefits from Intel VT which offers a number of capabilities that can be used to optimize and accelerate the deployment of virtualized NFV applications. There are a broad range of virtualization specific enhancements in the platform such as Intel® Virtualization Technology (Intel® VT) for IA-32, Intel® 64 and Intel® Architecture (Intel VT-x), Intel® Virtualization Technology (Intel® VT) for Directed I/O (Intel® VT-d) and Intel® Virtualization Technology (Intel® VT) for Connectivity (Intel® VT-c). There is also a set of configuration capabilities on Intel architecture-based servers that can help to deliver improved performance and predictability characteristics for NFV applications. To create a network environment where network functions can be scaled on demand, servers across telecommunications server rooms need to act like one giant virtual server and be decoupled with network functions—the essence of NFV. Implementing NFV will rely on a network orchestrator, such as OpenStack, which is an open source cloud operating system that controls large pools of computing, storage, and networking resources throughout a datacenter, all managed through a dashboard . Although OpenStack is commonly used in platform-as-a-service (PaaS), it also has a place in telecommunications services. An orchestrator is vital because it allows telecommunications companies to dynamically assign network workloads. With pre-defined application and operational policies, an orchestrator can automate network provisioning and configuration, reducing manual, error-prone operations. A new service can be deployed utilizing available hardware computing, storage and networking resources without the need to purchase new servers (Figure 3), while a launched service can be elastically scaled up and/or down based on changing business needs. Simplified network management, granular control of network traffic, and faster time to market of new business are some of benefits that telecommunications companies can enjoy from NFV. 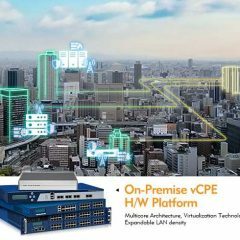 Client premises equipment (CPE) can also take advantage of NFV. Telecommunications companies offer wireless broadband services via CPE to business clients. Under the concept of NFV, the NSA 7130-based CPE can be divided into several virtual machines, running virtual private network (VPN), firewall, and load balancing applications. More importantly, NFV-enabled CPE can interoperate with other NFV-enabled equipment, acting as a computing node in a telecommunications server room and letting its hardware resources be accessed by other network function applications or vice versa. This flexibility enables creation of new revenue-generating services at a reduced cost in terms of capital and operating expenses. 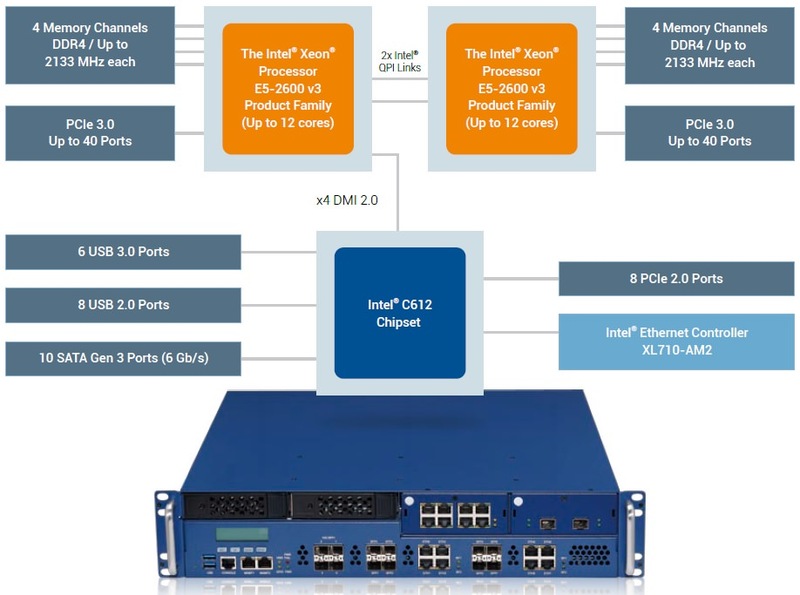 To establish a centralized, programmable network infrastructure, the NEXCOM NSA 7130 uses Intel DPDK to implement an SDN framework where data plane and control plane are separated. Intel DPDK—which is a set of software libraries designed to improve packet processing performance across virtual switches—makes it possible to achieve over 80 million packets per second (Mpps) of L3 forwarding throughput for 64 byte packets on a single Intel® Xeon® processor . With Intel DPDK, packet processing can be combined onto a generic-purpose high-volume server, eliminating the need for dedicated networking components, such as network processors (NPUs), application specific integrated circuits (ASICs), and field-programmable gate arrays (FPGAs). Control plane, on the other hand, is managed by a SDN controller which communicates with physical and virtual switches through standard communications interfaces, like OpenFlow, supported by the NSA 7130. Creating new revenue streams at lower capital and operating expenses is a common pursuit of telecommunications companies as they are seeking new business opportunities in data communication, putting them in direct competition with established service providers. For providers implementing NFV and SDN, the NEXCOM NSA 7130 provides a generic purpose high volume server that can interoperate with other network platforms through network abstraction while simplifying network provision, configuration, and management with policy-based network automation. As opposed to traditional purpose-built telecommunications equipment requiring arduous manual processes, the NEXCOM NSA 7130 helps optimize hardware resource allocation, allowing telecommunications companies to deliver new services with enhanced agility and scalability, as well as significant cost savings.